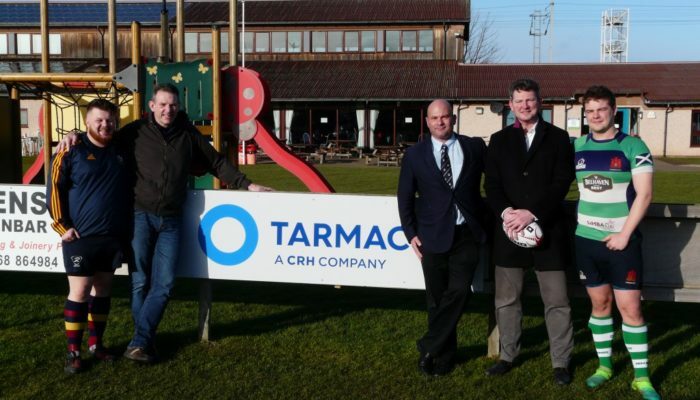 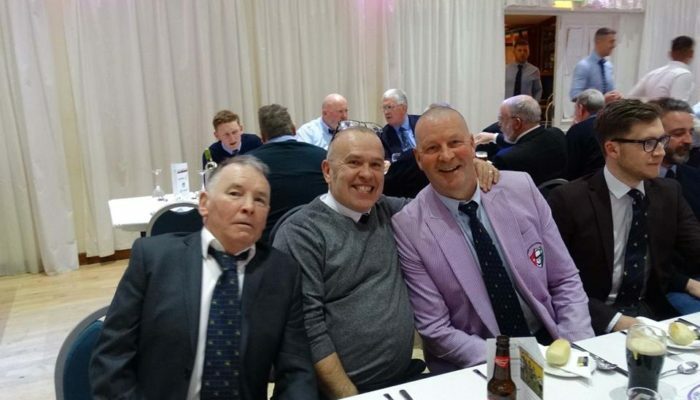 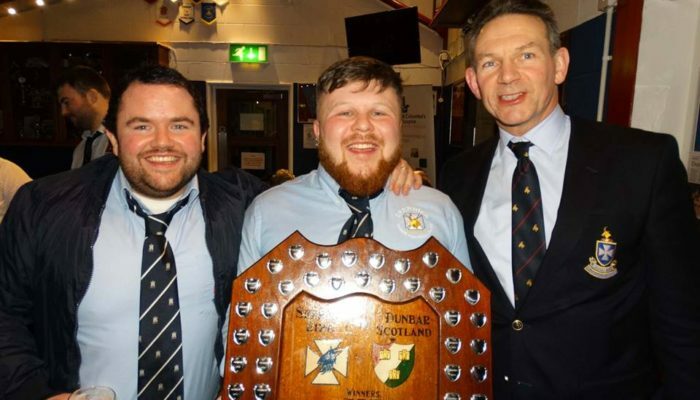 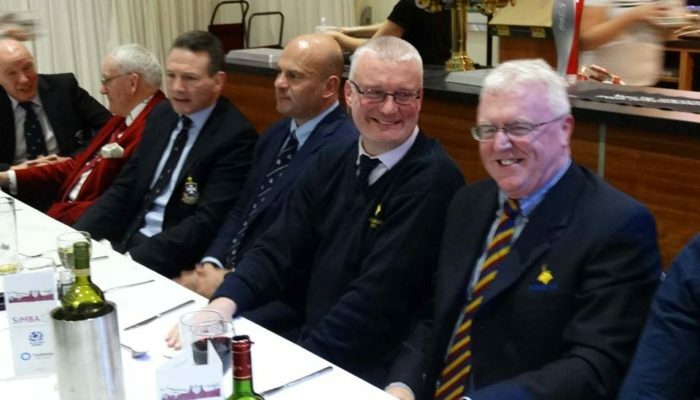 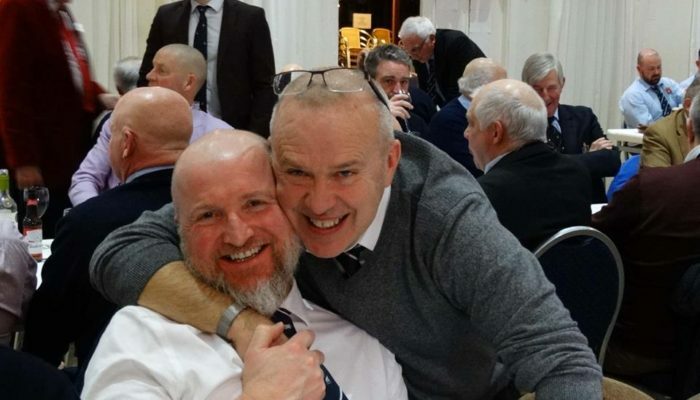 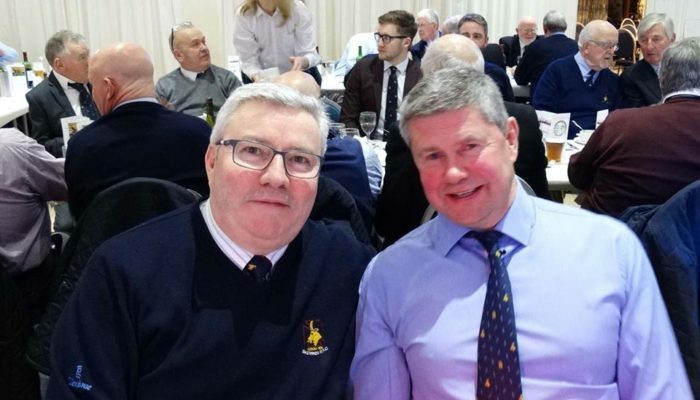 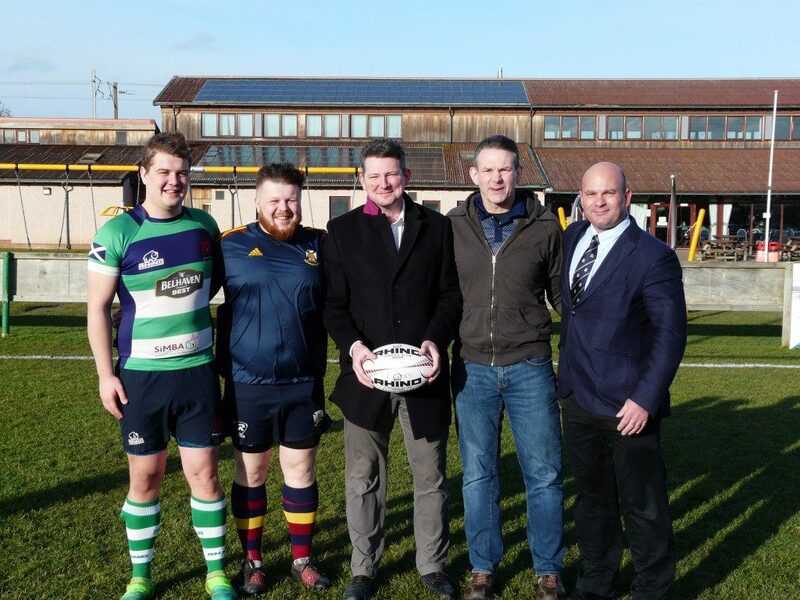 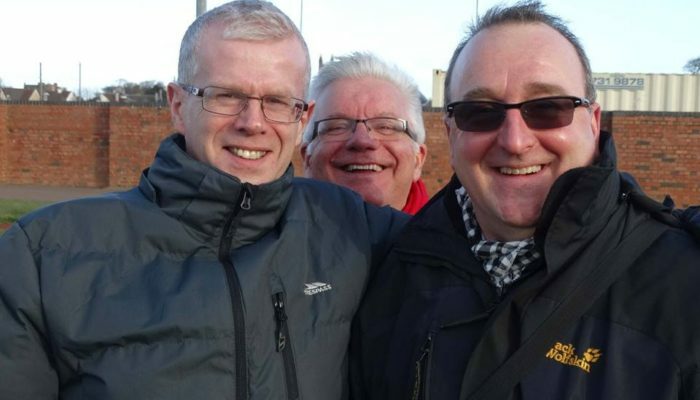 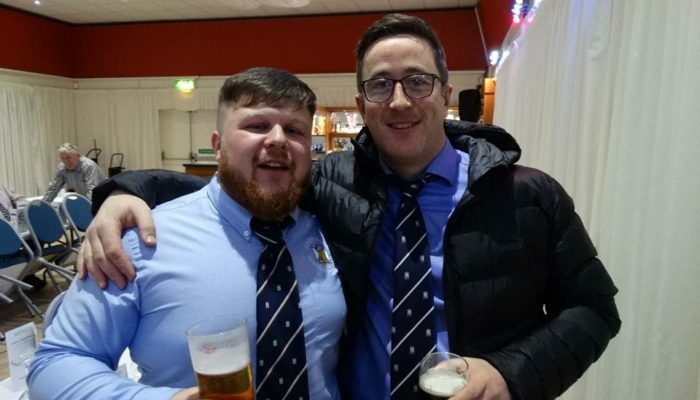 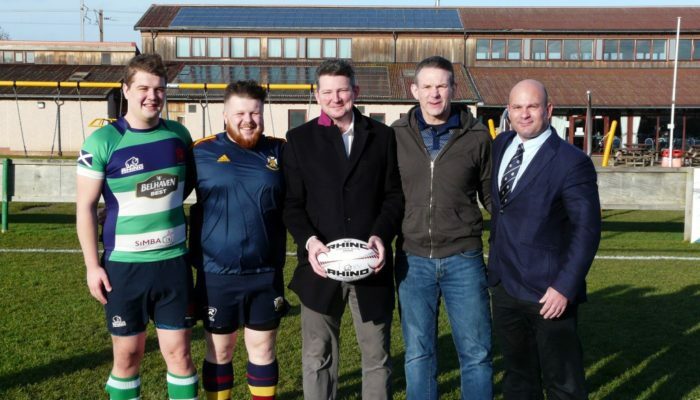 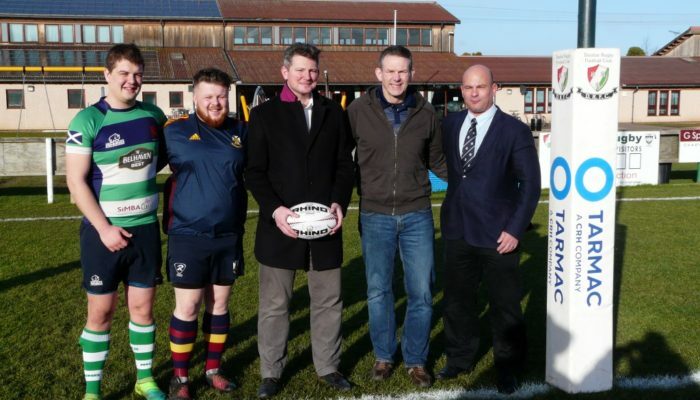 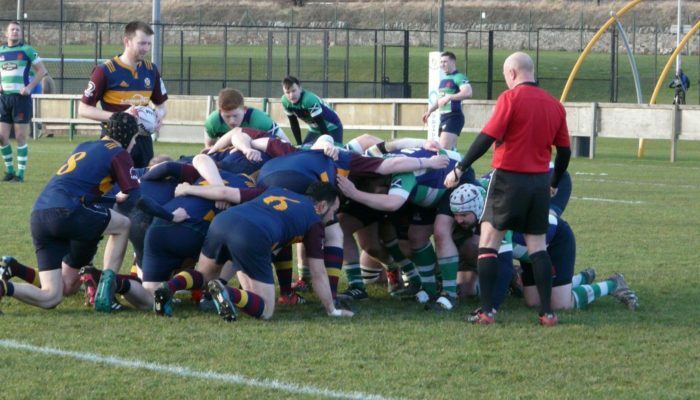 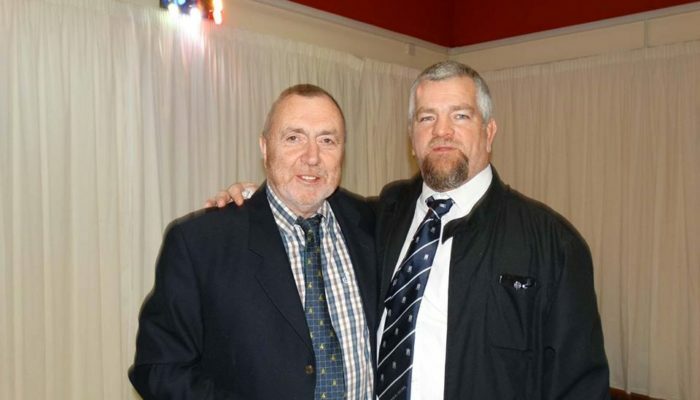 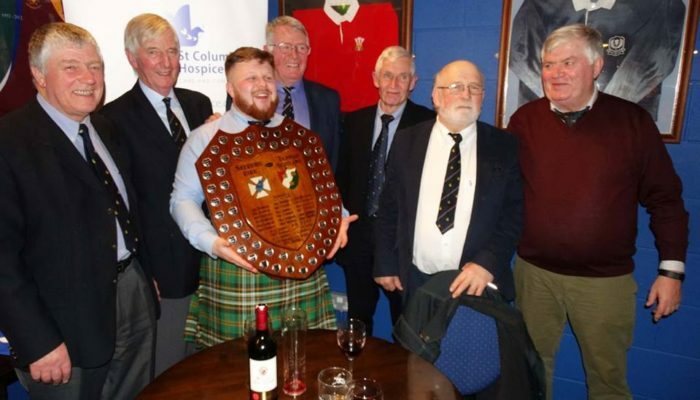 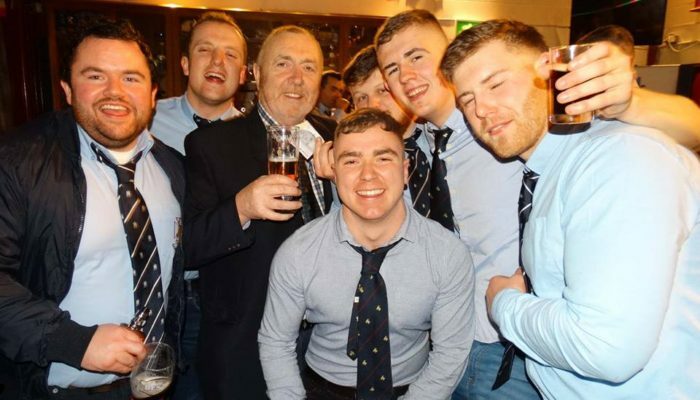 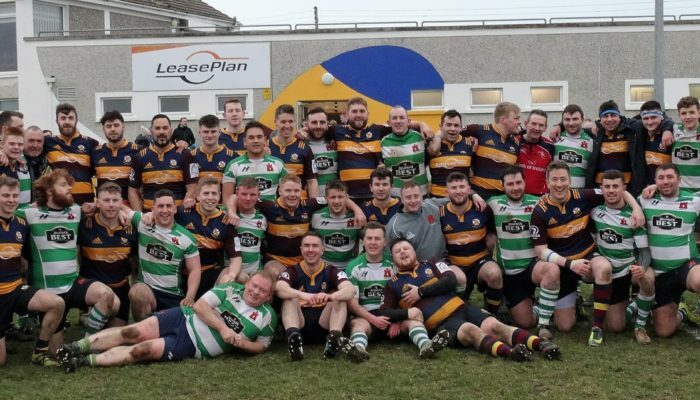 Dunbar RFC hosted their great friends from Skerries on Friday afternoon. 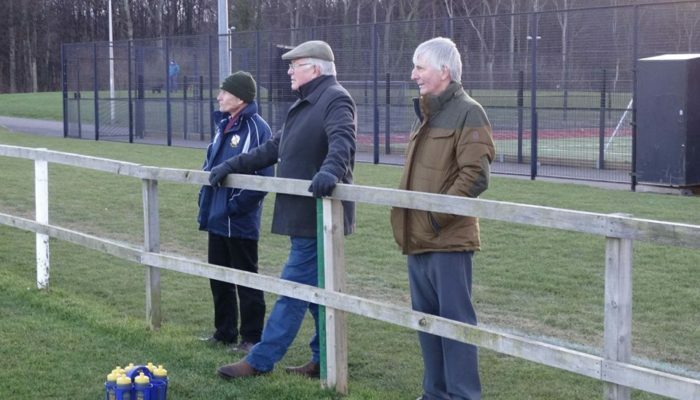 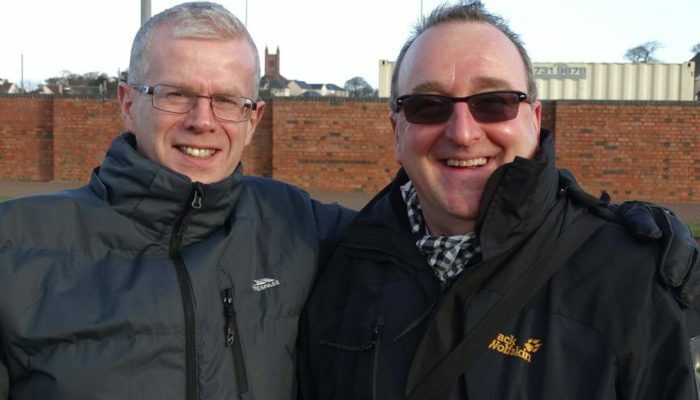 This was the 34th fixture played in Dunbar and 67th going back to 1952. 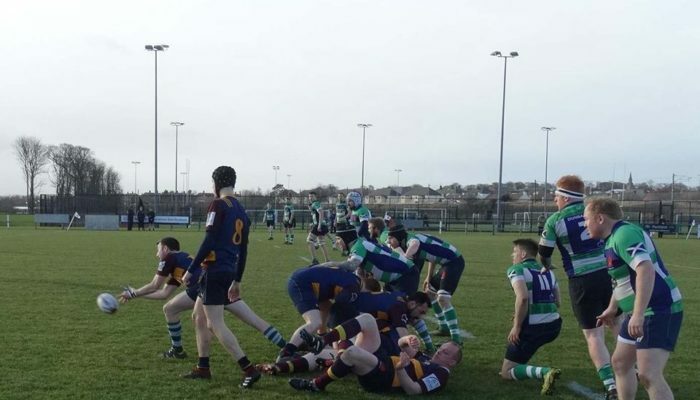 The weather held off but there was a blustery wind which Skerries would use to their advantage in the first half. 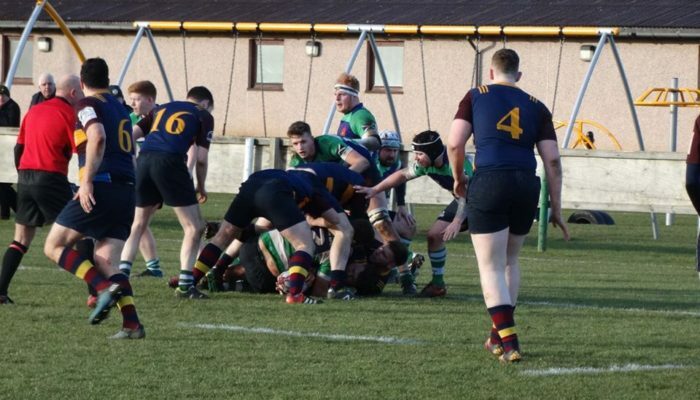 Skerries came with over 50 members but lacked numbers so were helped out by Dunbar. 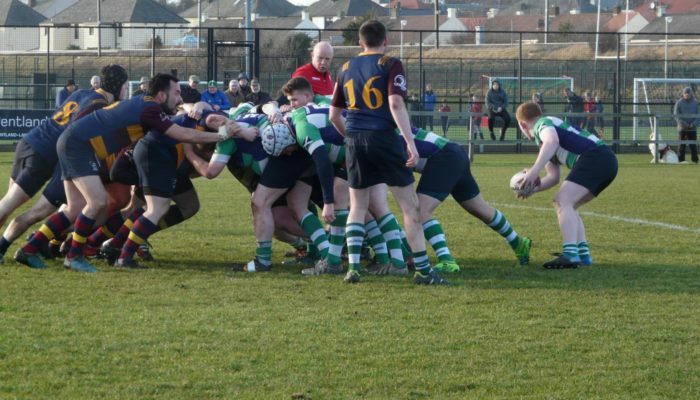 Dunbar kicked off against the wind and found themselves 7-0 down after barely 30 seconds. 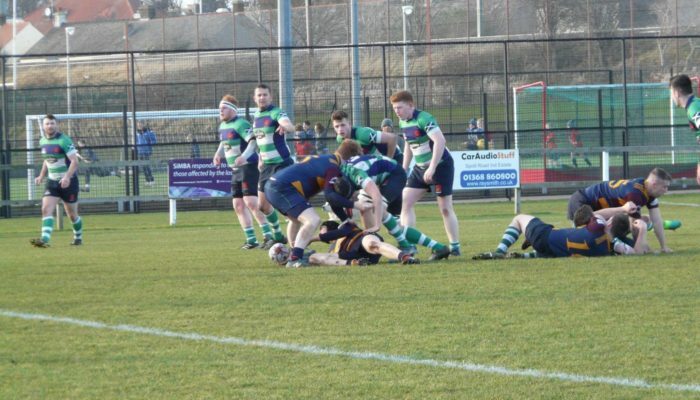 The ball held in the wind and it was the Skerries number 8 Ben Jenkinson who gathered and beat the Dunbar defence to score under the posts. 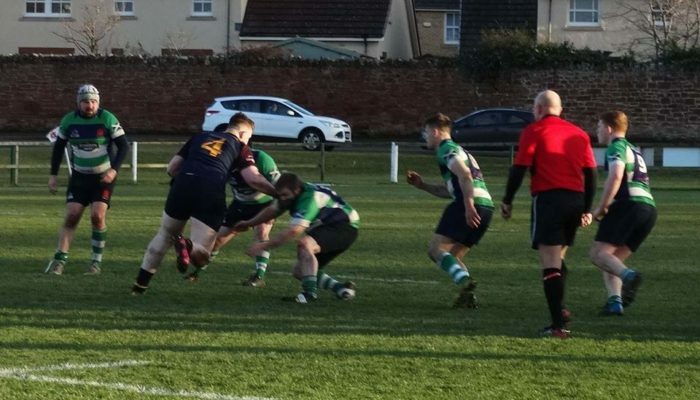 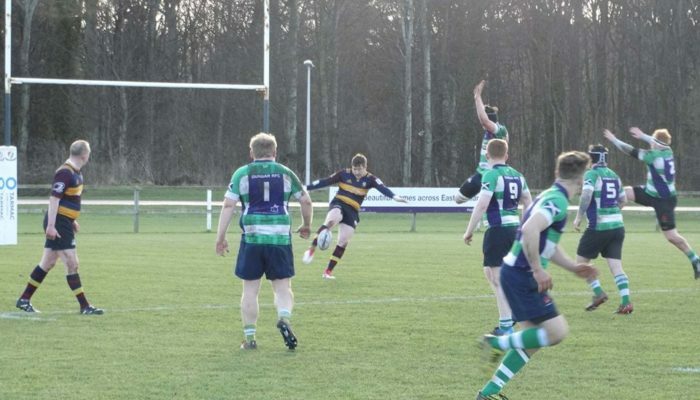 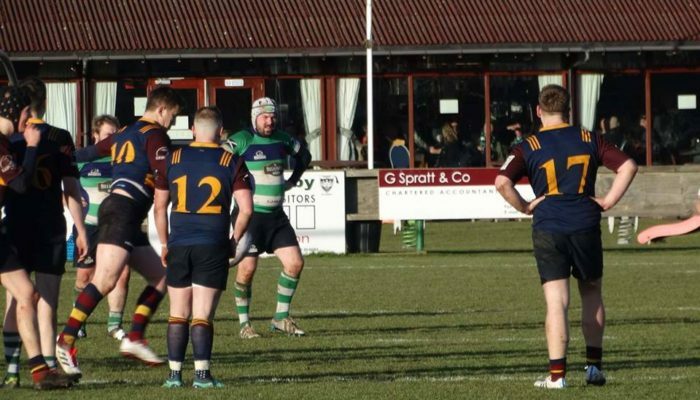 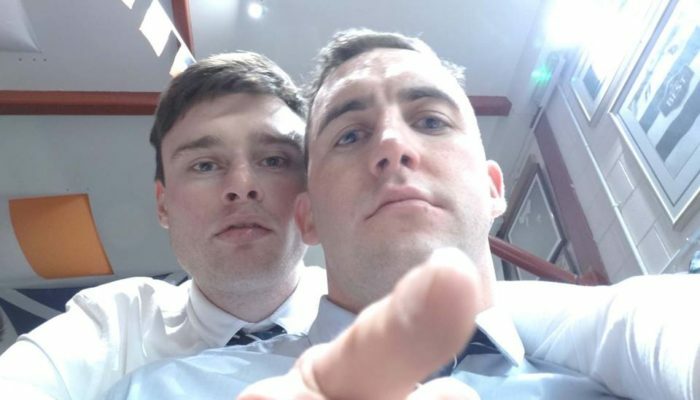 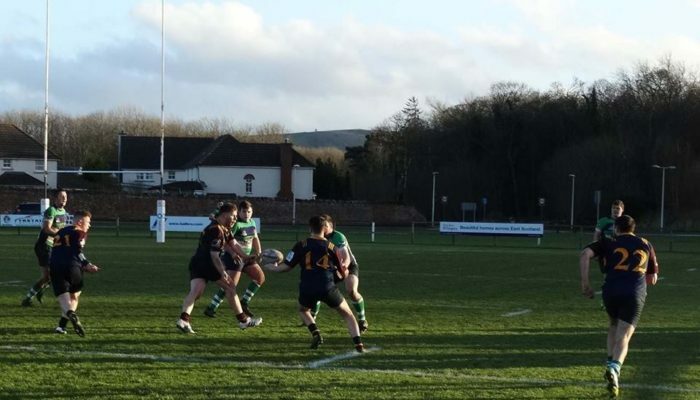 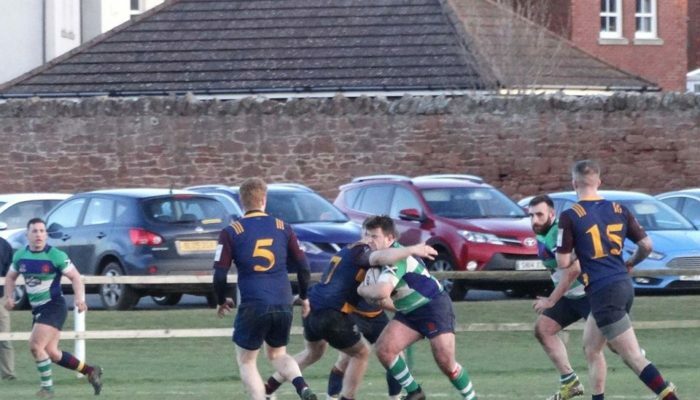 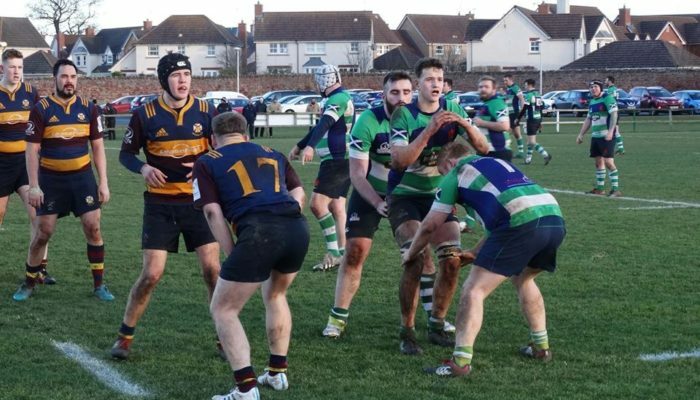 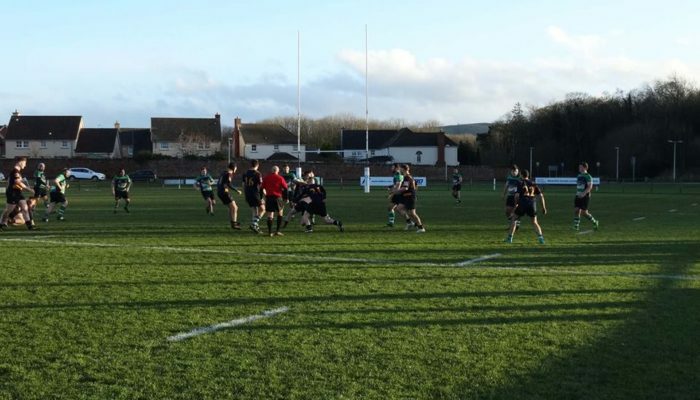 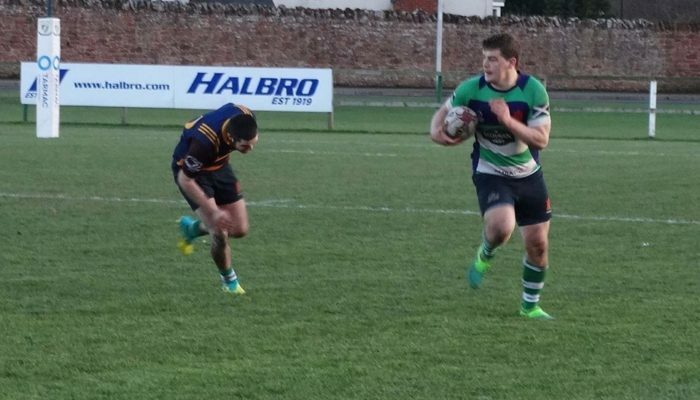 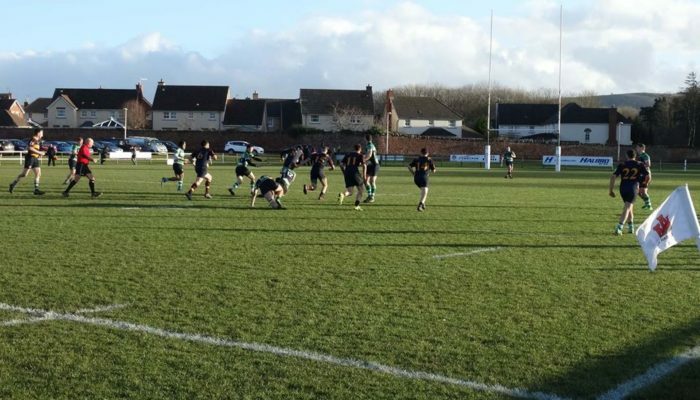 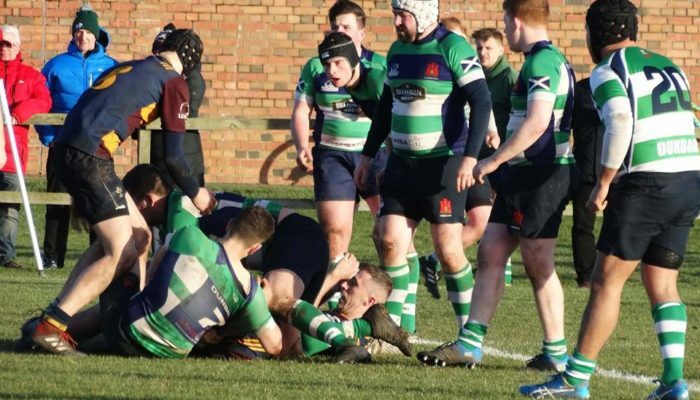 Dunbar were struggling to keep Skerries at bay and found themselves further behind after just 10 minutes when Skerries touched down in the corner. 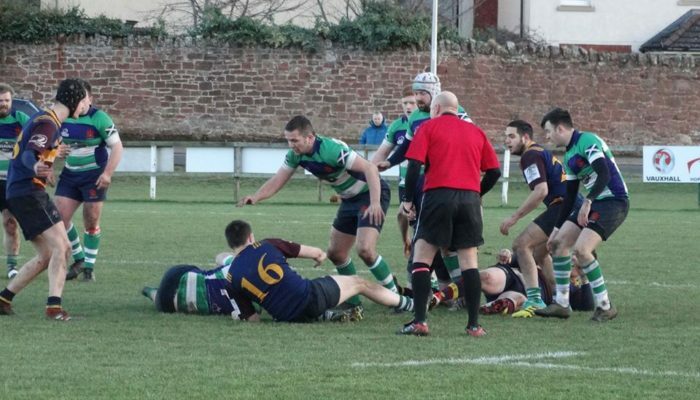 Dunbar tried desperately to get back in the game but mistakes cost them dearly. 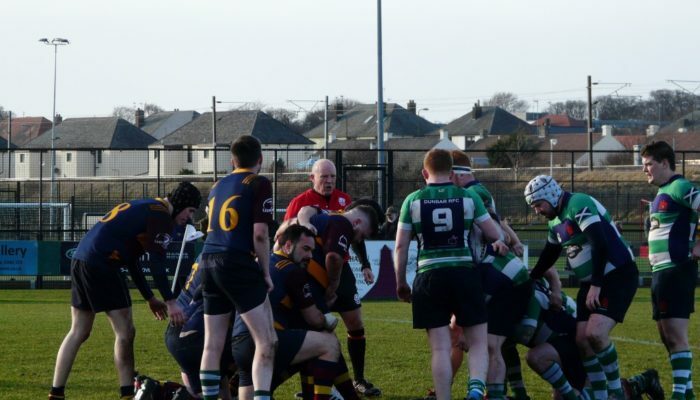 Wrong decision making did not help and Skerries defended well. 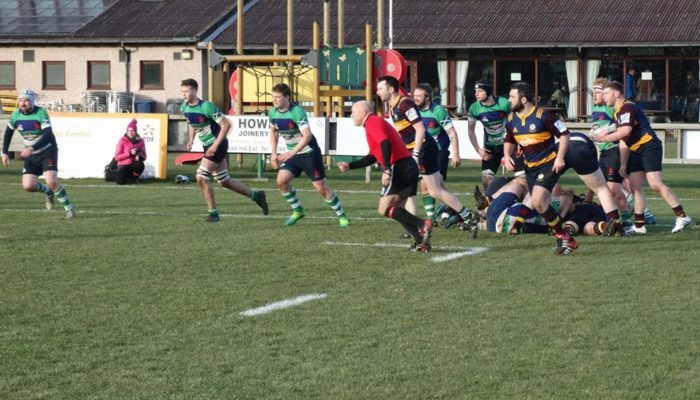 The visitor’s were playing really good rugby and came away with yet another score on 30 minutes which was to be the final score of the half. 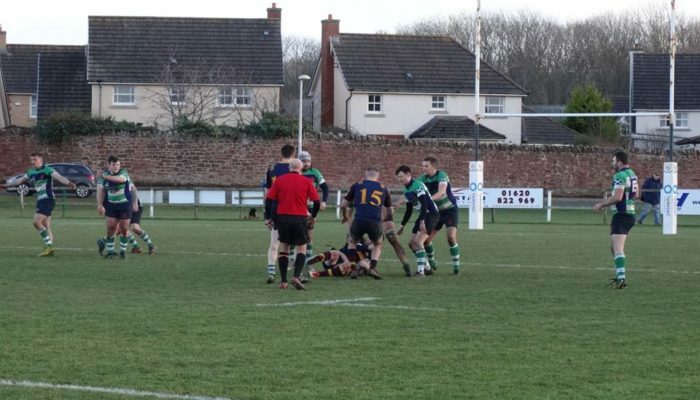 Dunbar now had the advantage of the wind but failed to utilise that and were pegged back into their own twenty two. 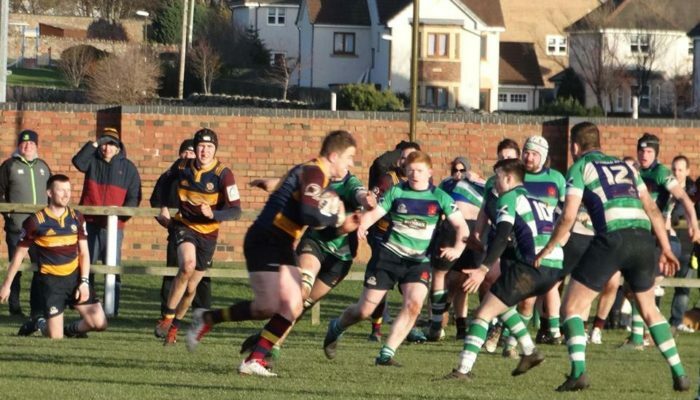 A break away gave Dunbar their first real chance on 45 minutes when youngster Struan Lugton made good ground before being stopped. 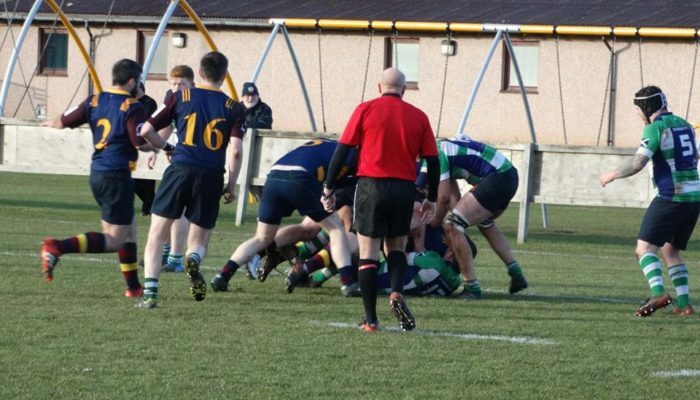 Dunbar kept up the pressure and Jordan Lister broke clear to score under the posts for Dunbar. 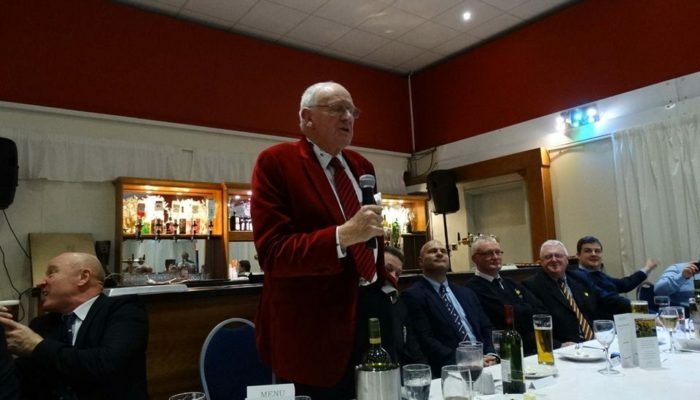 Charlton added the extra points. 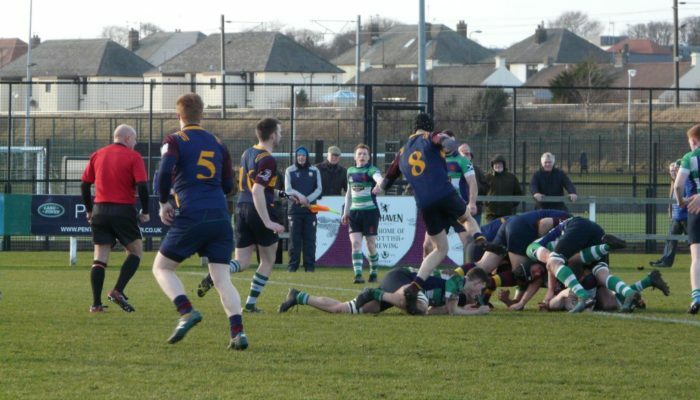 This should have been the start of the Dunbar comeback but the home side were pushed back. 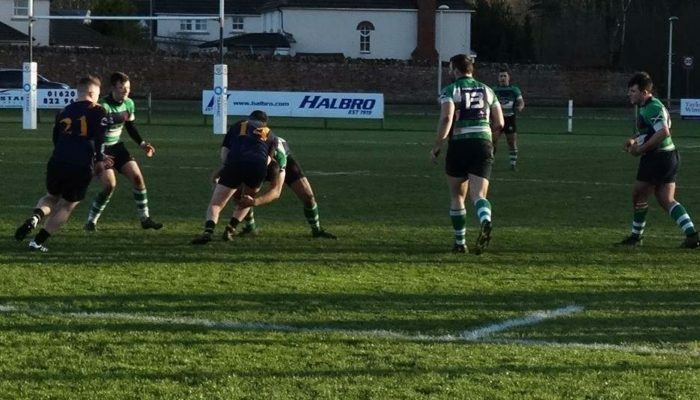 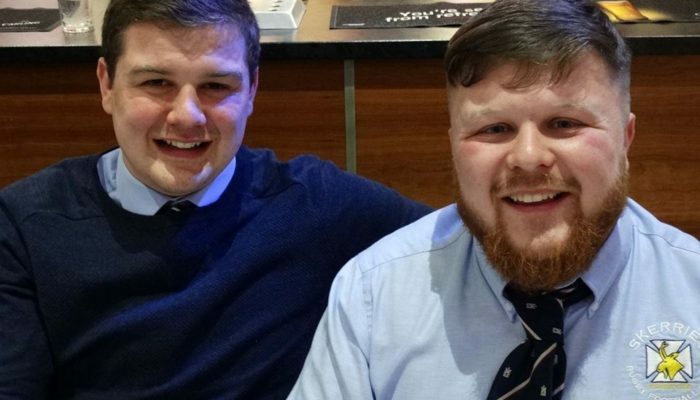 Continuous pressure from the visitor’s was rewarded after 50 minutes with a simple try which was converted by Blair Mills the former Dunbar man now playing in Ireland. 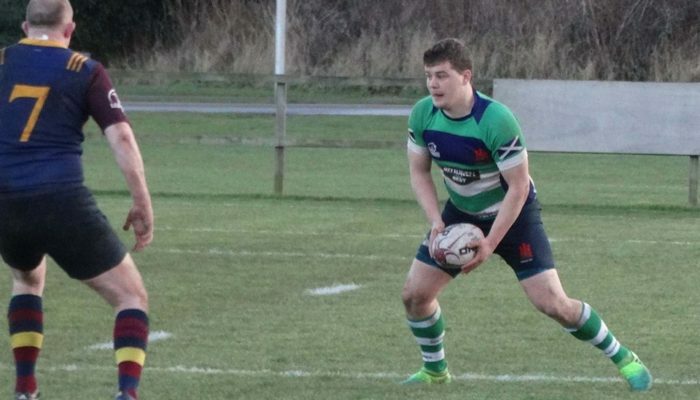 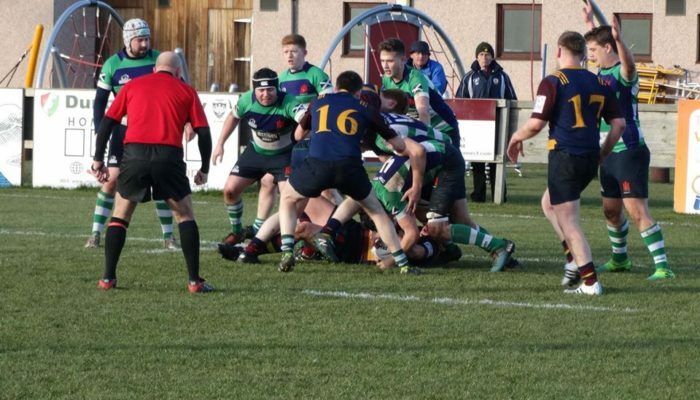 Back came Dunbar and it was the teenager, Struan Lugton playing in his first senior match who crashed over to score. 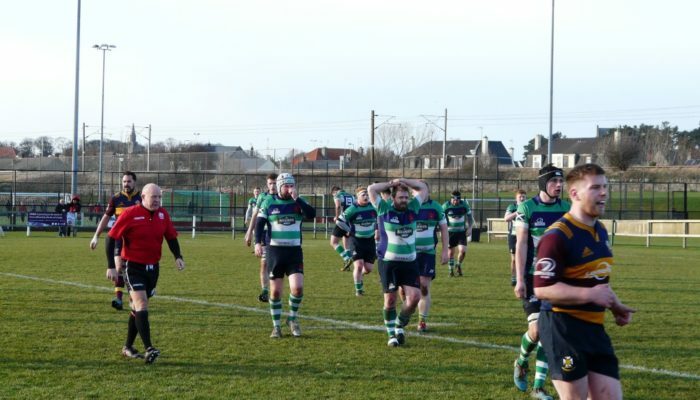 Charlton again converted to bring the score to 26-14 to the Skerries. 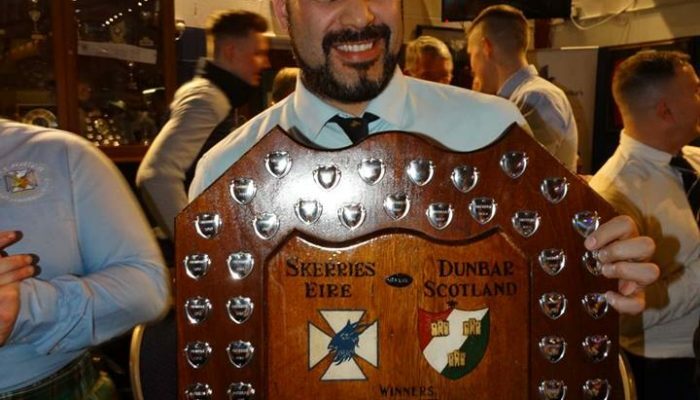 Dunbar should have scored when Gary Peebles broke away but the ball went loose and Skerries broke up field to score through Marco Bagatella against his own club mates. 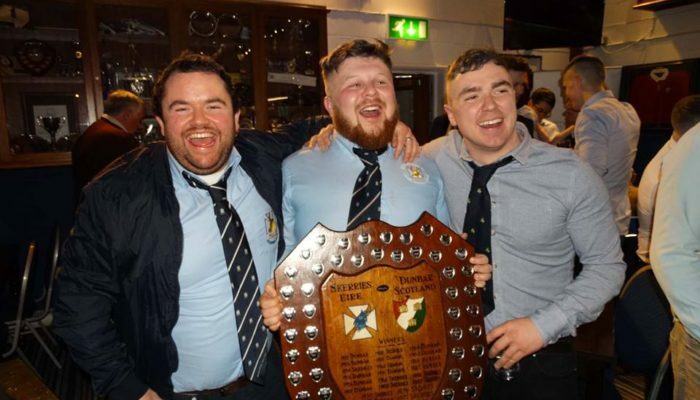 Mills again converted and Skerries looked to have retained the shield. 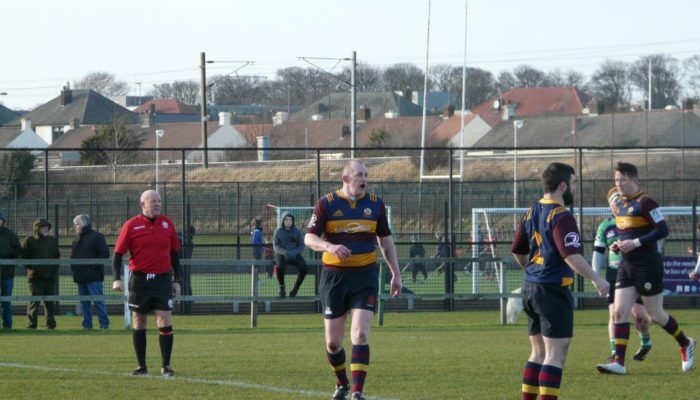 Dunbar then had their best spell of the match and were rewarded when Gary Peebles finished off a nice move to score with Charlton converting. 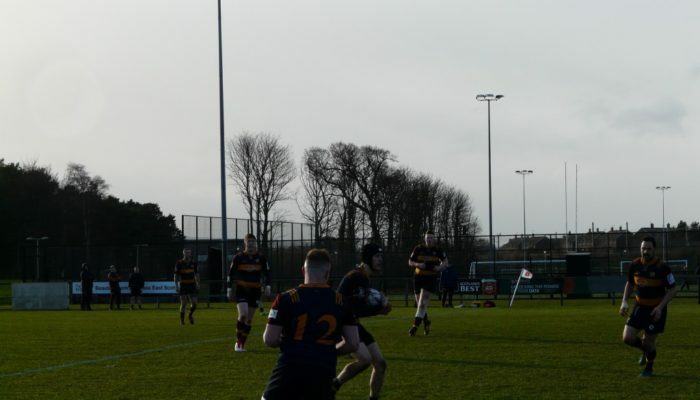 Dunbar came right back up field again and this time Antoin Penrose showed explosive pace to beat the defence to score. 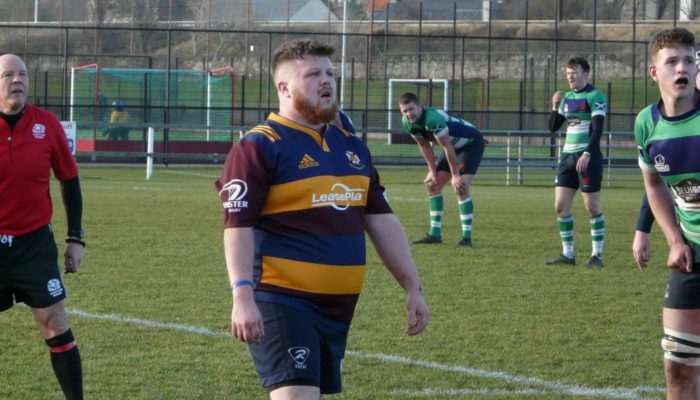 Charlton missed the conversion. 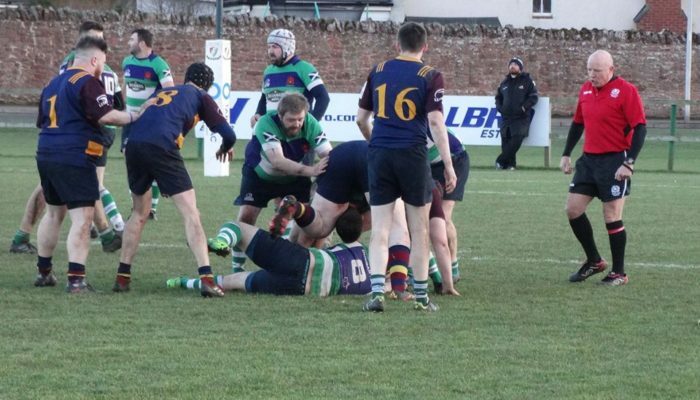 Dunbar had chances in the final three minutes but time ran out and Skerries were victorious 33-26. 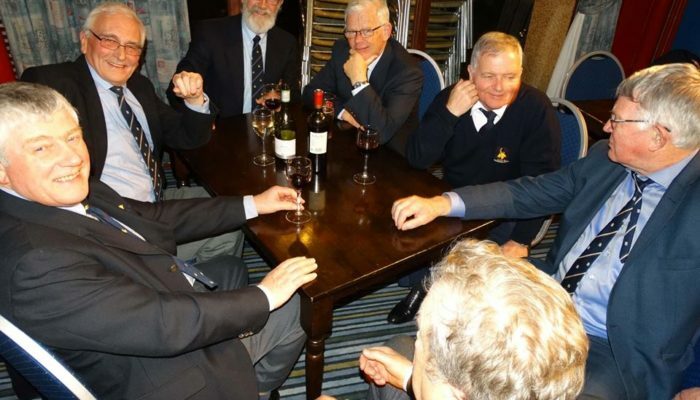 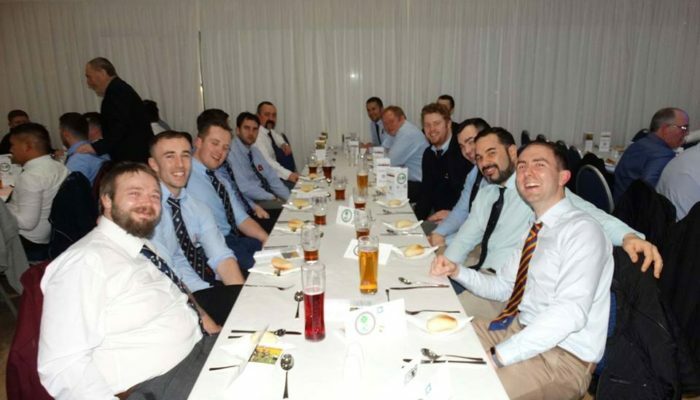 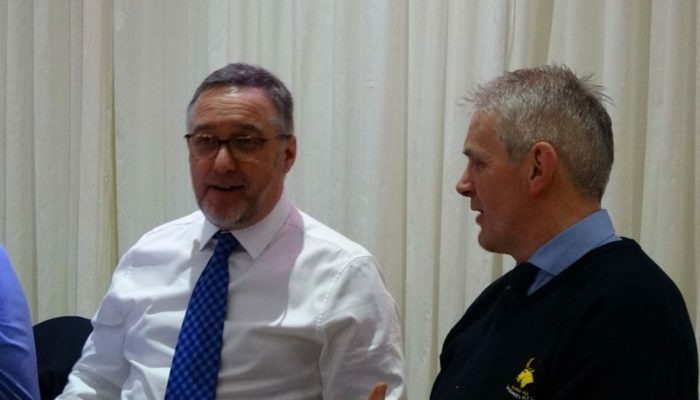 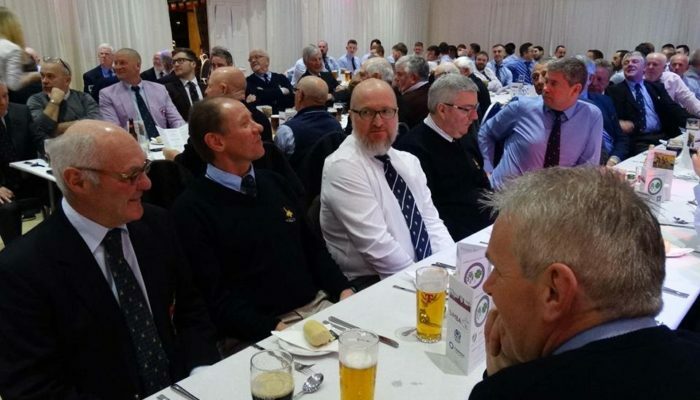 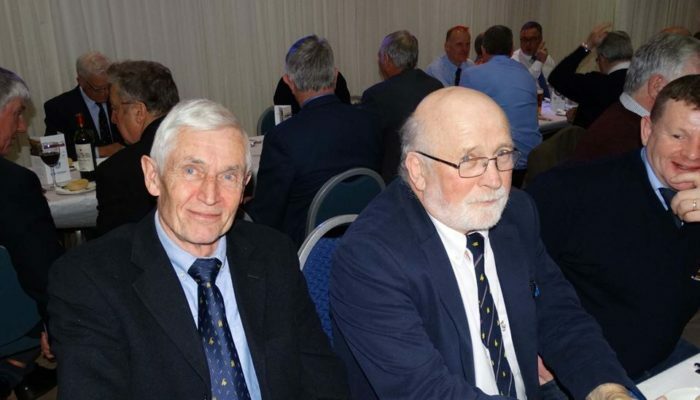 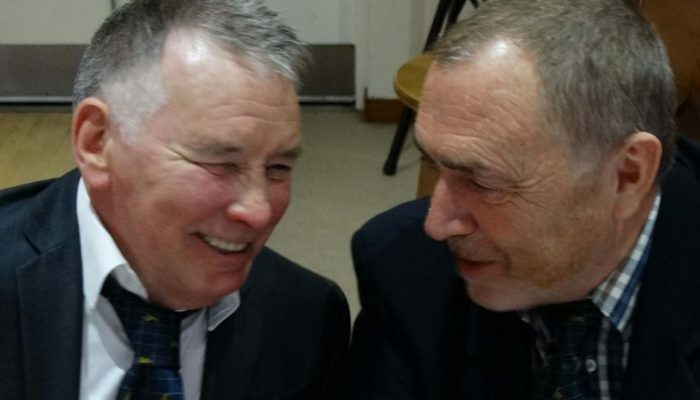 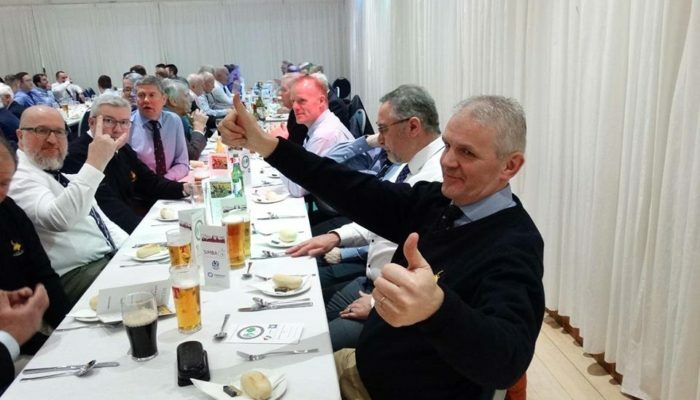 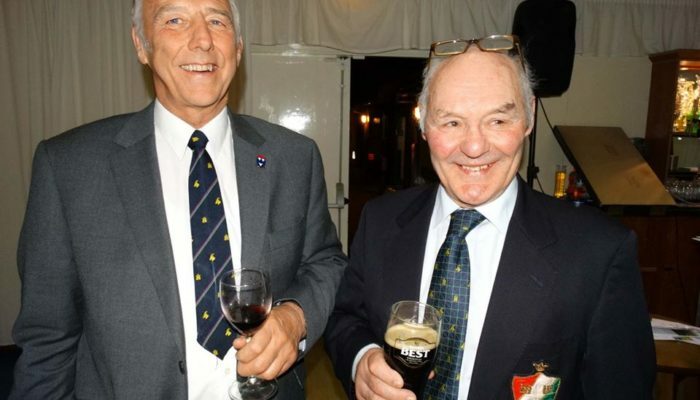 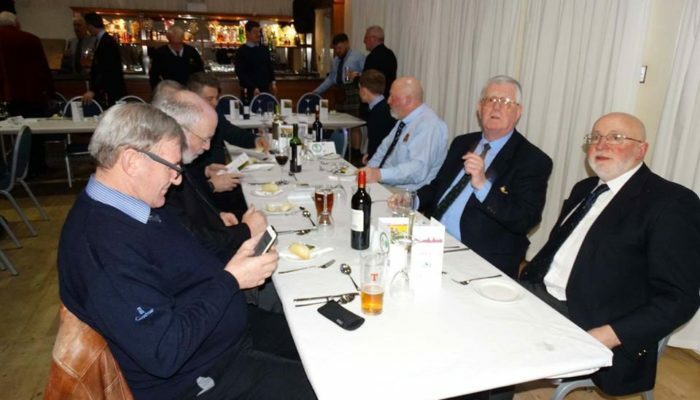 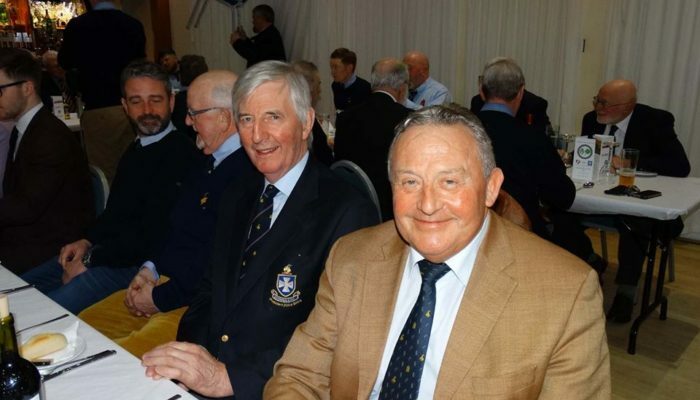 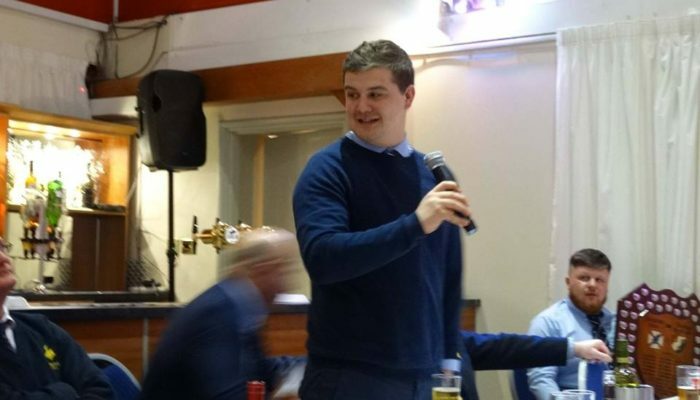 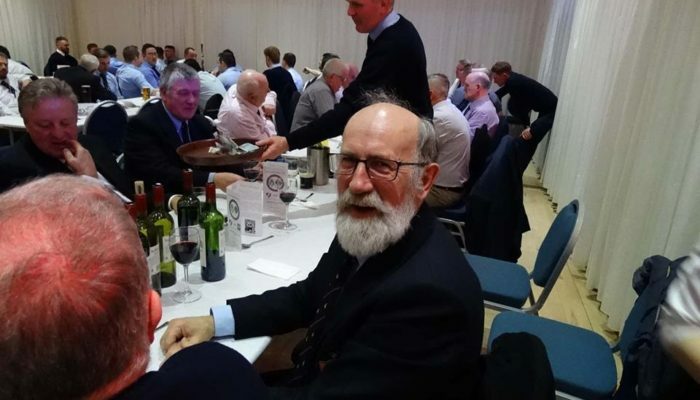 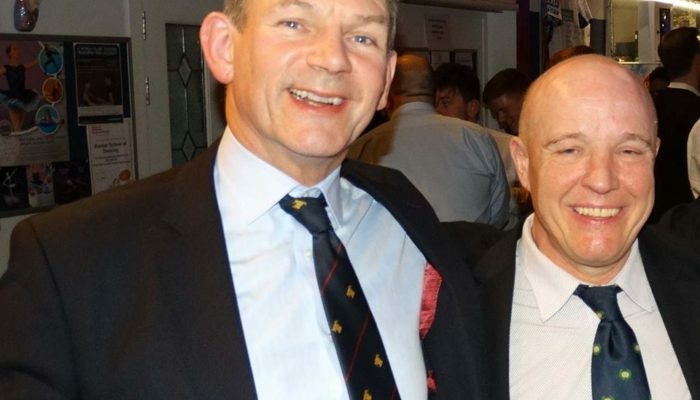 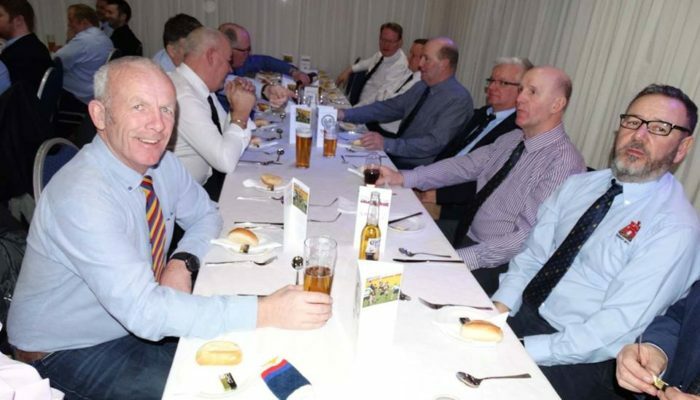 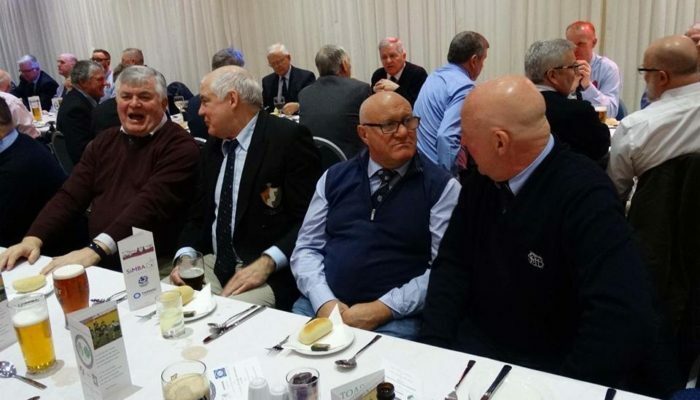 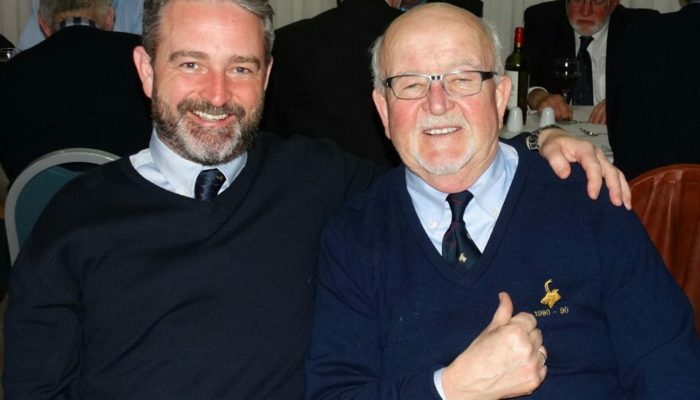 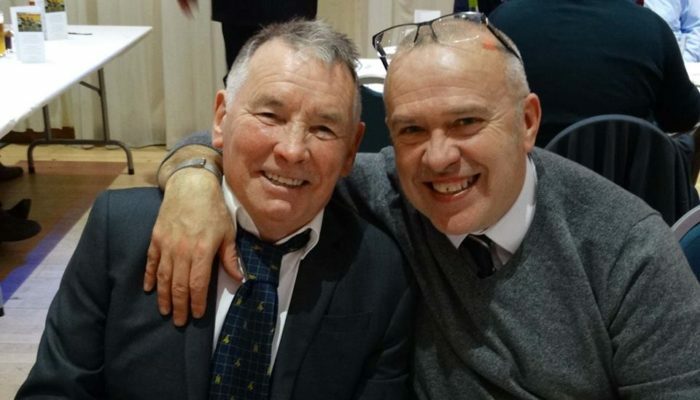 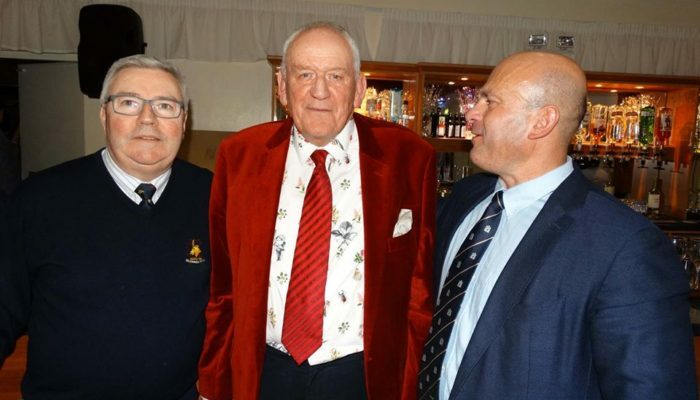 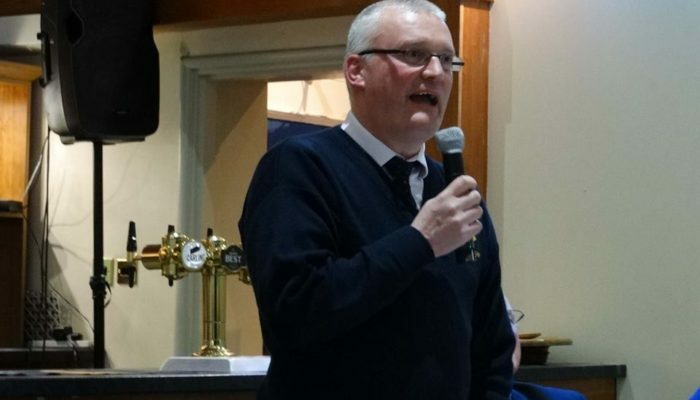 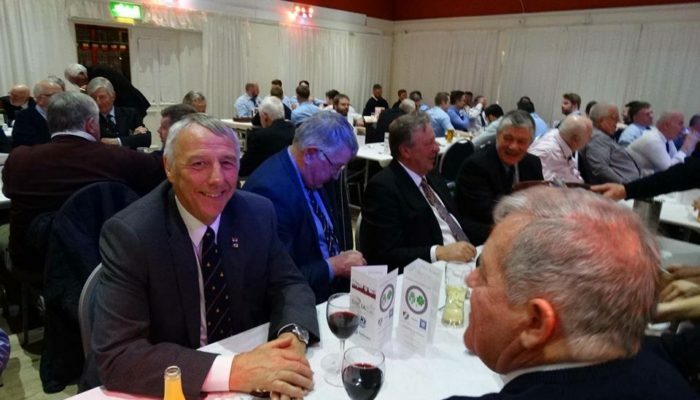 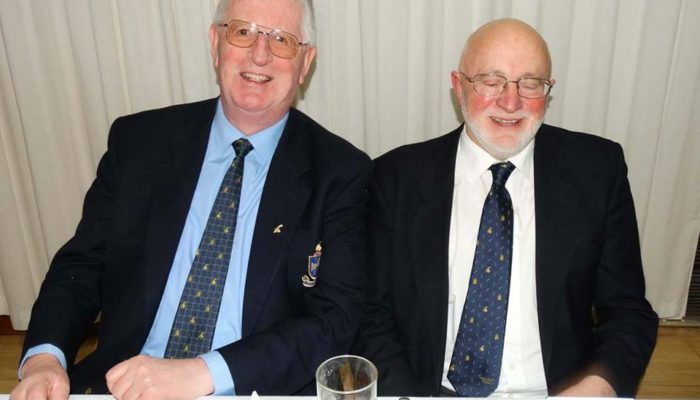 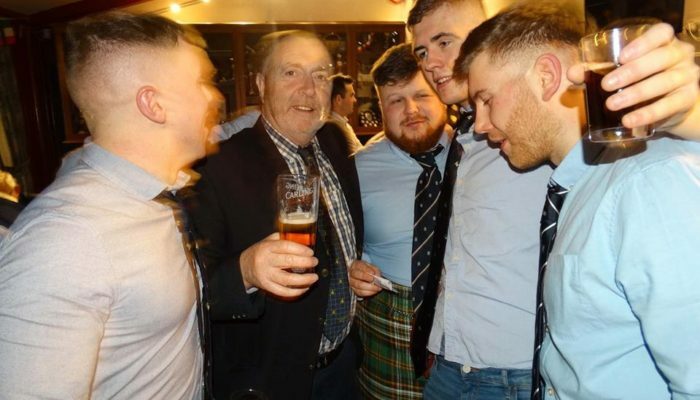 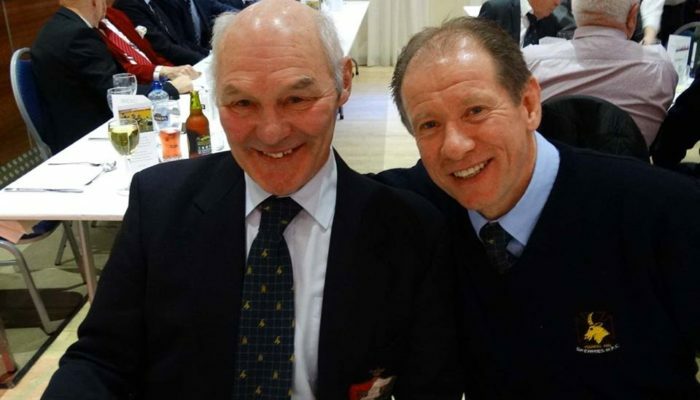 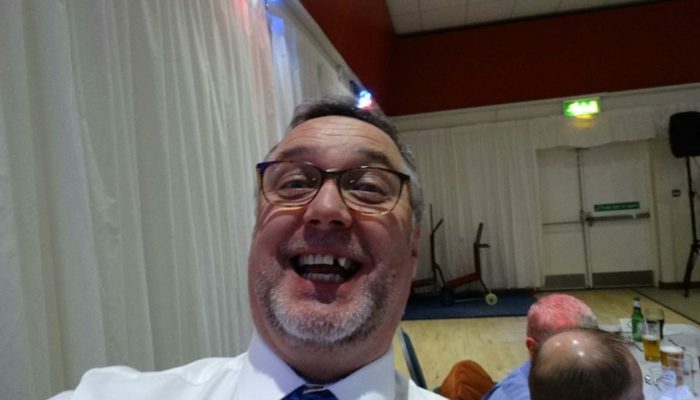 Over 120 people sat down to dinner where ex Scotland player Peter Brown toasted Skerries.